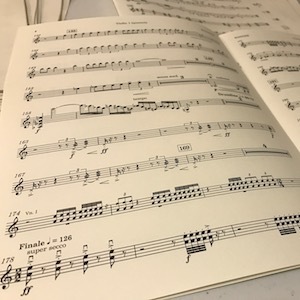 It’s common to have a conductor’s score with winds and brass on shared staves, and individual parts for players. Although Dorico does not yet offer an automatic solution to creating both, it is relatively easy to achieve satisfactory results using its powerful layout features. Today MuseScore announced the release of MuseScore 2.3, featuring the brand new MuseScore Extension facility to allow additional packages of features to be easily delivered and installed without the need to update the program. These extensions can include new instruments and sounds as well as new palettes and other enhancements. 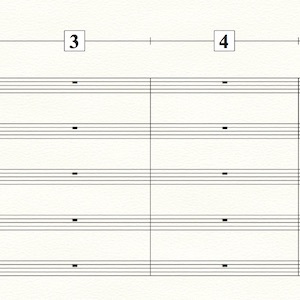 In conjunction with MuseScore 2.3, MuseScore is releasing the first such extension, MuseScore Drumline. In this installment of DJA’s Notes by Darcy James Argue, we learn the dos and donts of one- and two-bar repeats, numbering repeated bars, and how to lay out the music correctly so that the intent is clearly conveyed. 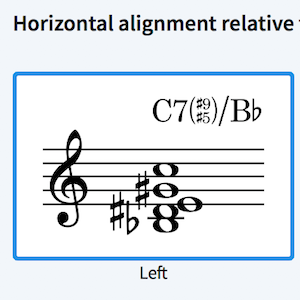 In this installment of DJA’s Notes by Darcy James Argue, learn how to left-align chord symbols in all three major commercial music notation software programs, in order to avoid confusion on the stand. 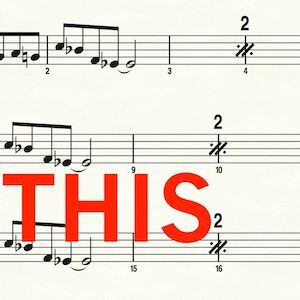 DJA’s Notes is a new series inspired by Darcy James Argue’s Facebook posts, which offer some quick, basic steps to improve the appearance of notated music, especially from a jazz/big band perspective. 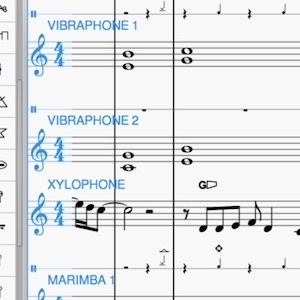 In this post, learn how to group instruments correctly and change what the notation software may do by default. 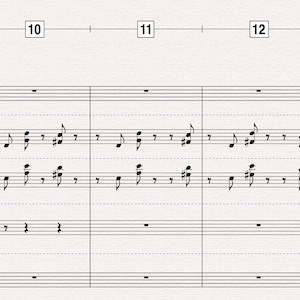 I often receive inquiries wondering if 9” x 12” paper was acceptable for orchestral use, or if 10” x 13” is necessary. 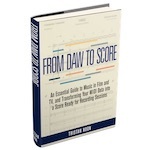 Here are my thoughts based on experience preparing music for hundreds of orchestral projects. Following up on our last post about getting a studio look to your bar numbers in Sibelius, we’ll now show you how to achieve it in Finale by placing them on their own separate one-line staff. 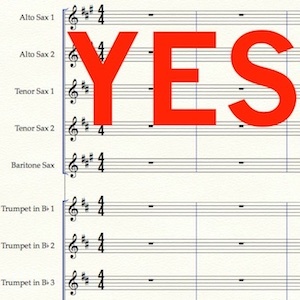 Placing bar numbers on every bar of your score can save precious rehearsal time. 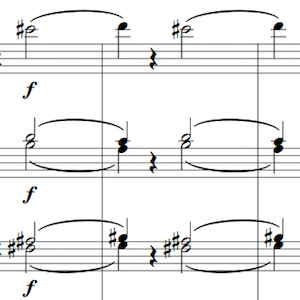 Learn how to get a studio look to your bar numbers in Sibelius by placing them on their own separate one-line staff.